According to the Bankers Life Center for a Secure Retirement, just one-third (31 percent) of middle-income baby boomers feel well prepared for retirement. 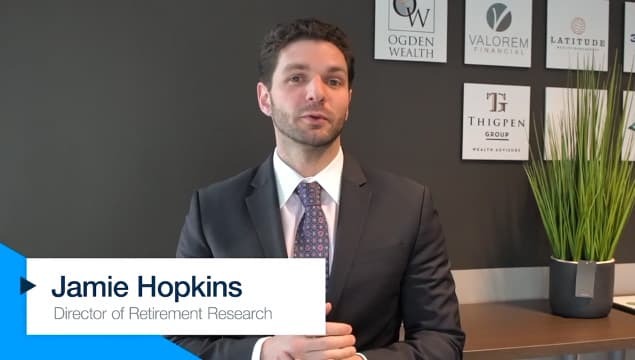 That makes this year’s National Retirement Planning Week, which began April 8, the perfect time for agents everywhere to reassess their approach to retirement planning with their clients. With access to modern medicine, education on healthier habits and cutting-edge medical technology, people are living longer than ever before. However, data from the Employee Benefit Research Institute shows that American households led by individuals ages 35 to 64 are $3.83 trillion short of the amount needed to securely get through their retirement. With proper education and the right tools, your clients can make sure their retirement needs are met for the long term. The first step in helping your clients secure their financial future is to assist them in developing a plan for the unexpected. Whether it is due to injury, chronic illness or a decline in physical or cognitive function, at some point, your clients may require long-term care. This type of care can take place in-home, at an assisted living facility or nursing home. The U.S. Department of Health and Human Services estimates that boomers may face retirement care costs totaling $138,000 over the course of their lifetime. According to a recent study from the Bankers Life Center for a Secure Retirement, among those surveyed, 79 percent have no money set aside specifically for their long-term care needs. It’s important to work closely alongside your clients to determine the appropriate amount of savings needed based on their lifestyle, marital status, expenses and other factors such as their health that may influence their future need for retirement care. “Having everyday expenses and an overall lifestyle that allows you to live within your means is the most important factor in being able to save for retirement,” said Dan Veto, president of Retirement Spark! “Most Americans should plan on saving 10-15 percent of their household income every year from the day they start working.” Those with adequate savings earmarked for retirement, long-term care and unexpected expenses have more options and greater freedom from worry during their retirement years. The second step in preparing your clients for retirement and long-term care, is to help them select the right insurance to fit their needs. Choosing the right type of insurance is an essential part of helping your client effectively plan for retirement, so they have the coverage they need. When it comes to the high costs of retirement care, just one in 10 (12 percent) of middle-income boomers have purchased long-term care insurance. There are also other ways to pay for care including personal savings, and family or government assistance. Although Medicare does not cover ongoing long-term care needs, Medicaid may cover some of the costs depending on your clients’ eligibility. Clients should also look into supplemental health insurance to pay for unexpected medical expenses not covered by Medicare. Finally, it’s important to make sure that your client and their loved ones are aligned on their vision for retirement. For instance, while it may be easy for couples to discuss how they wish to fund and spend their time in retirement, it’s also critical for them to be on the same page about retirement care. A recent survey from the Bankers Life Center for a Secure Retirement - A Growing Urgency: Retirement Care Realities for Middle-Income Boomers – found that although 74 percent of middle-income boomers are somewhat or very confident in their ability to manage health care costs for themselves and their spouse as they age, only one-third (32 percent) of middle-income boomers have a plan for how they will receive care in retirement, should they need it. By getting your clients to be realistic about their needs, they will be able to enjoy retirement and will feel confident in their plan. While the retirement crisis may paint a grim picture for some, there are still many ways to ensure your clients are prepared for their futures. Looking at the key components of retirement planning, such as emergency funds and budgeting, proper insurance coverage and spousal support, will help you develop a strategy that allows your client to continue into retirement safely and securely. Scott Goldberg is president of Bankers Life. Scott may be contacted at scott.goldberg@innfeedback.com.